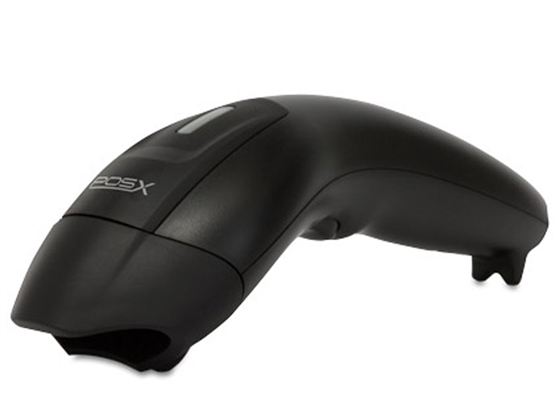 The POS-X ION Linear Wireless barcode scanner offers a unique and affordable way to gain scanning mobility at your business. Ideal for medium volume retail and light inventory management, the ION Linear Wireless is easy to use and easy to configure. The ION Linear Wireless uses a linear imager to scan barcodes, giving you quick reads of most major 1D barcodes. With a depth of field of about a foot and a half, the ION Linear Wireless gets scans without much effort. The scanner uses a ZigBee wireless radio, connecting to the included dongle and giving you up to 328 feet of wireless range. POS-X built the ION Linear Wireless to handle general retail wear and tear. The lightweight scanner can survive drops of nearly four feet, so getting knocked off a counter or out of a hand is no problem for this scanner. A built-in rechargeable battery offers 70,000 scans per charge, far more than you'd expect in a standard workshift, and can be recharged in about 4 hours. Shipping with a 3-year warranty, including POS-X's 2-Day advance replacement service standard, the POS-X ION Linear Wireless barcode scanner is a great addition to any checkstand. También puede ver esta lista en Español. Visite EquiposTPV.com para comprar el POS-X ION Linear Wireless lector de códigos de barras inalámbrico. Dimensions 3.2" x 6.3" x 2"
Typical Depth of Field 1.2" to 18"
Are there any wireless scanners that use something other than Bluetooth for communication? 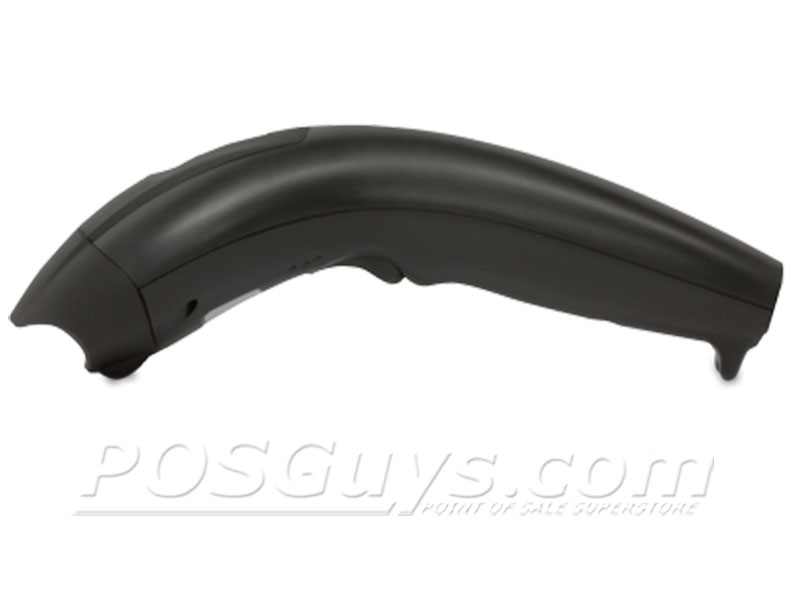 The ION Linear Wireless is a pretty easy to use and affordable barcode scanner. 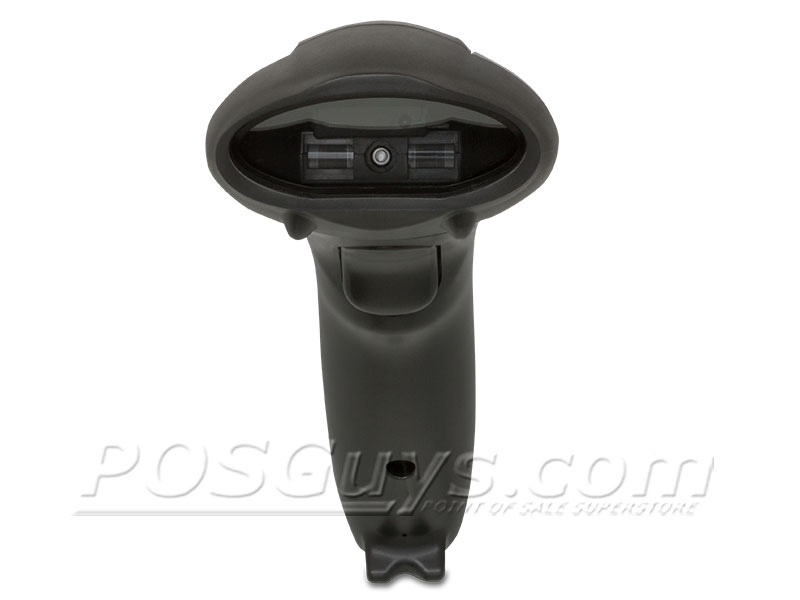 The ergonomic design fits well in hand, and it's light enough to stay comfortable during long scanning sessions. Please note that the scanner can only pair to the included dongle. Find it faster! Click here to compare ION Linear Wireless models by feature. Hi, This is Travis with POSGuys. Today we will be reviewing the POS-X ION and the POS-X wireless this is their mid level scanner they have a contact scanner which is below it and then their evo line is an even better scanner above it. its a value price scanner. you are getting a good bang for your buck. it doesn't have all the features of a high end scanner, but it has the ones you need for a retail type of scanning application. this is the wired version of it. it's usb interface only. the cable is replacable , it just plugs into the bottom and thats your usb connection. the wireless version is a little different than most bluetooth scanners. instead of having the communications cable, it has a communications dongle. so this dongle will plug straight into your computer, and then to charge the scanner, there is a usb port on the bottom. so you just plug in a usb cable and then plug this into your computer and you triple charge it. so, a little different than your standard bluetooth scanner that has a cradle. instead of bluetooth technology it uses what POS-X calls Zigbee technology for communicating with the computer itself. switching to your inventory styled barcodes, code 129 or 3 of 9, you're going to have a similar range from about six inches to twelve inches. going down into the more high dense side, you get the six mil easily on both the 3 of 9 and 128 under a bright light condition like daylights or a spotlight or bright warehouses, it is affected by sunlight. so it will not scan. so keep that in mind if you're going to be using it outdoors, it's not going to perform as well as one of the higher end scanners. testing the agressiveness of the scanner, it's pretty good under a moving barcode, so it gets it under fairly high speeds and even at full speed it can pick it up so, it's pretty aggressive and its a fast enough scanner rate that you don't have to hold the barcodes perfectly still. as far as damaged barcodes go, crumple it up here so it is beat up and wrinkly, scans that fine. we'll scratch on it and it still reads it pretty good stretch it out a bit so its warped. theres a warped barcode and that still scans barely. you got a little scanned but thats about it's limit. from there its not going to do much more. so the ion has a handsfree stand available however it doesn't automatically go into auto sense mode, you have to configure it for autosense and once you do, the trigger will no longer be functional. so we're in trigger mode now. we're going to start configuration, presentation mode and programming and now it's in autosense mode. once it's in auto sense mode, just present the barcode to it, and it will scan automatically It's a little less agressive in this mode that way it gives you the chance to line up the barcode and make sure you're scanning the correct thing.